One of America’s most successful TV shows, the sitcom Roseanne, has been cancelled by the ABC network, after its star, Roseanne Barr, posted a racist tweet. Barr said a former adviser to President Obama, Valerie Jarrett, an African-American, could have been the offspring of a union between the Muslim Brotherhood and Planet of the Apes. Originally broadcast between 1988 and 1997, Roseanne was revived by ABC in March and during its ten week run, it became the network’s most successful sitcom and one of the most popular shows in the US. It was praised by President Trump and popular with his supporters, who saw it as rare example of network programme aimed at working class audiences. But Barr’s tweet was met by a backlash that the network could not ignore. One of the show’s producers, the African-American comedian Wanda Sykes, was quick to quit the show. One of her co-stars, Sara Gilbert, described the comments as “abhorrent” and said the situation was incredibly sad and difficult. “We’ve created a show that we believe in, are proud of, and that audiences love – one that is separate and apart from the opinions and words of one cast member,” she tweeted. ABC isn’t alone in taking action against the star. 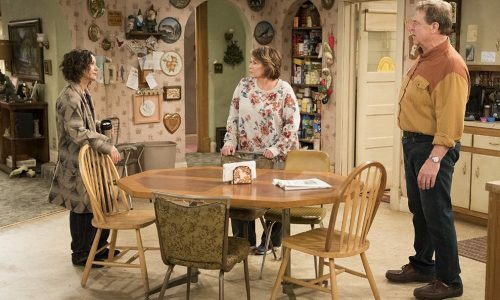 The show will no longer be available on the Hulu streaming service, a rival media giant Viacom says three of its cable networks will stop airing re-runs of the original Roseanne shows and she’s been dropped by her talent agency, ICM.